Perhaps the biggest news story in two thousand years is now building: A worldwide, apocalyptic clash of spiritual forces in a fight to the death. The focus of this conflict is the tiny state of Israel, whose re-emergence its traditional land has sparked unrelenting rage and attack. Repeated votes in the United Nations reveal an enduring hostility among the nations of the world toward Israel - even to the point of denying her right to exist. News media and political analysts have overlooked an important factor in this growing global animosity toward Israel. That factor is a single ancient prophecy that not only predicts this universal conflict, but also powerfully shapes its precipitating events and attitudes, and does it on both sides of the conflict! Amazingly, this prophecy by Ezekiel (chapters 38 and 39) is currently the subject of numerous best-selling books, both in the English-speaking and Muslim worlds! 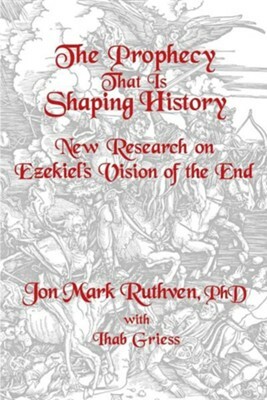 THE PROPHECY THAT IS SHAPING HISTORY represents a breakthrough in research and scholarship. This new and serious study of the subject clearly traces the origins and the ultimate destinies of the major nations who will clash in the most horrific battle the world has ever seen. I'm the author/artist and I want to review The Prophecy That Is Shaping History.